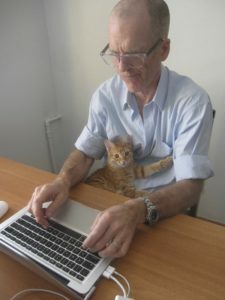 Dubbed as the British Caragiale, for his fine sense of satire and wit to detect the most sensitive issues of the Romanian transition, and not only, former radio journalist, author and scriptwriter Mike Ormsby has begun to feel like home in Romania since mid-90s and he still does. 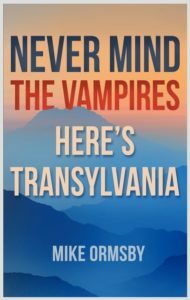 Settled down in a picturesque village in Transylvania, although currently ‘on break’ in Tanzania, Mike is also notorious for his books, ‘Never Mind the Balkans, Here’s Romania’, ‘Never Mind the Vampires, Here’s Transylvania’, ‘Palincashire: Tales of Transylvania’, and ‘Spinner the Winner’ (Morisca Fara Frica). 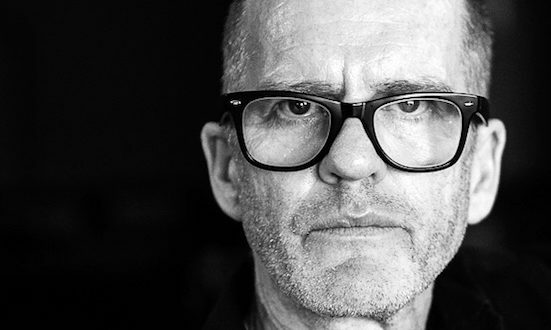 In the following “cards on a table” interview, Mike tell us about his background, his experience as a journalist in Romania, the early days of his writing career, about how irony and satire can build cultural bridges. An honest and thorough discussion about literature, modern days and bitter-sweet reality, about ordinary people’s originality and readers, about politics, political barriers and about the “not-very-nice place” Europe is heading to. I was born and raised near Liverpool, England. I travelled and worked abroad for two years after high school, then I studied at Cardiff University. After college, I was a professional musician for a few years, playing in an indie band – hard work but great fun. I was freelancing as a music journalist, too, and eventually left the band to become a full-time news journalist, then a journalism trainer, then an author and scriptwriter. I still play live music for fun; harmony is a beautiful thing. How did you become a journalist? Was it by chance or a dream come true? As a young child, I would fold blank A4 paper into little booklets and write stories in them for my school friends to read. This activity developed into a school newspaper, The Dragon (at St George’s Primary). I would write the stories and my teacher photocopied a few sheets to distribute in class. I was about seven years old. Looking back, it was probably the worst story, as well. I remember the plot: some bad guys try to bribe a star footballer to ‘lose’ a game, but he’s a good guy and refuses. So, as punishment, the bad guys put a matchbox full of carnivorous ants in his boot. When he kicks the ball, the box splits open and the carnivorous ants march out and chew his leg off. I first visited Romania in spring 1994 as a BBC reporter. I went to Bucharest and Craiova. Several things stuck in my mind. Firstly, the chronic poverty and poor infrastructure; secondly, the wit and wisdom of the people; thirdly, the abundance of hungry street dogs craving food and a human friend. Combined, this made an emotional cocktail that spun my head, broke my heart, and made me love the place. As a journalist, I’d come to report on a Welsh charity that raised money back home to help refurbish hospitals and do dental work for orphans in Craiova. I made a one-hour radio documentary entitled Smiles to Craiova (it’s a play-on-words in English). The documentary was broadcast on BBC and helped raise money for the charity. I wanted very much to go back to Romania, but how? Six months later, I found the answer: I became a World Service radio trainer at BBC School in Bucharest, working with young Romanian journalists. It was a demanding post but lots of fun too. I stayed several years and eventually Romania began to feel like home. It still does. I asked you this for I noticed reading your books that you usually “put it bluntly”. Actually, I do believe that literature, like journalism, is usually like therapy, where you have no reason to beat around the bush, despite the fact that truth hurts. It’s like a mirror to the inner side of the object/subject and truth is the only cure. What is your perspective? Is satire the best way to go deep in the depth of things? Good question. My answer should start with context. As I mentioned earlier, two things I noticed first about Romanians was their dry wit and tenacious spirit. They reminded me of Scousers – Liverpool people – tough-but-friendly with working class cultural values. Sentimental, fiercely independent, strong-minded, and very funny. So, I felt a connection and when writing Never Mind the Balkans, Here’s Romania, I was hopeful that Romanians would understand and appreciate an ironic approach. Laughter is the best medicine, as they say. The best bridge is made of irony, get it? Shakespeare said a writer’s job is ‘to record the pressures of the time’, and that’s what I tried to do in Never Mind the Balkans: to record the various pressures on Romanians and on expats between 1994-2007; to record a unique historic period of social transition, for current and future readers, in a style that might resonate. Some critics called me The British Caragiale. I was amazed at that, but it proves my point: if you make someone laugh, you’ve met halfway across a cultural bridge. And I also asked you this because Romania has a lot of skeletons in the closet and still the old same problems to solve, even nowadays, maybe now more than ever, more acute. In your view, what are Romania’s pros and cons? What lured you to stay in Romania, despite its cons? The biggest ‘pro’ is Romania’s development since 1989 and its potential to go further. The biggest ‘con’ is the political barrier that prevents progress. We all know bright and determined young Romanians who have emigrated and will not return. 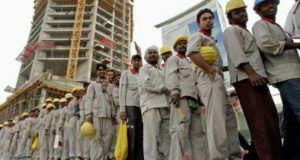 We know what their departure means: yes, their remittances might trickle home but their talent will not benefit Romania; it will benefit other countries in ways that money cannot buy. And Romania gets what, cash for a new winter coat? Those people left because they felt there was nothing for them here. We’ve lost millions of the brightest minds and strongest hearts in a generation, like in a war. It’s heartbreaking. All that pioneering spirit, gone forever. Families fractured, kids and parents separated for the most important years. Why? Because Romania offered too few jobs, scant opportunity, and little hope. It’s a disgrace. Worst of all, some of our political leaders now seem determined to transform Romania into a country where lies are truth, black is white, and up is down. I find this profoundly depressing. I marched on a #rezist protest in 2016 and told a TV interviewer that this was a battle for Romania’s soul. Maybe with people such as Laura Kovesi, Romania has a chance, but maybe Romania’s future is already past. It’s the same as in the USA, right now. We are all at the crossroads at midnight, with a grinning devil. What price our soul? Now the sport. Romanian tennis = very good. Football = not very good. How come? You said in other previous interviews that your stories are usually short due to your profile as a radio journalist, where you had to be brief and succinct, but reading your short stories I discovered a lush writing. Maybe there are few pages for each story, but they are very rich in descriptions, like in “big things come in small packages”, meaning the essence counts to not package, quality over quantity. Is this your style as a writer, are you now more like a writer than a journalist? Yes, radio writing influenced my minimalist style as a writer and my first book was a collection of (often very) short stories. However, I used the same minimalist style to write a 950-page novel (Child Witch), so, really, there’s no intrinsic link between style and length. A story ends not because of how I write, but because my editor Angela Nicoara and I feel that I’ve ‘said enough’. She’s great at saying stop. Every ‘good’ writer has a great editor and it’s easy to spot the ones who don’t. To be more specific, years of writing for radio sharpens up your editing skills and work rate, because time is tight in the newsroom and in a bulletin. You move fast and every word must count; you learn to omit unhelpful ones. Also, you learn to ask pertinent questions in various environments, and to listen carefully to peoples’ answers – not just what they say but how they say it. This is because sound and phrasing is so important in radio. That helps me now as a writer, when crafting dialogue. In reporting, you also need to gather the news, i.e. to gather several different perspectives on a story; your job is not to say ‘I think’, but to observe what other people think. That’s a key part of radio journalism and it influenced me. I like asking questions, finding out what makes people tick. The Tao de Ching advises us ‘to be like water – get to the bottom of everything’. And yes, I like that approach. It’s helpful for any journalist and any writer. For any person, in any job. So, when I’m out and about in any community, I listen, I watch, I’m always alert to the possibility of a story. I’m not actively looking, but I’m ready when it arrives, usually at unexpected times and in mundane places. For example, I knew within minutes of giving a lift to three Roma women, in our village in Transylvania, that I would get a story, just from listening, watching, and asking questions. One thing led to another, I dropped them off, stopped the car, and scribbled notes. 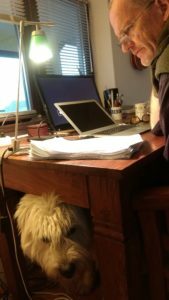 When I got home and wrote the story – Dog Willing – the women’s personalities and speech patterns were so strong in my memory, that I could hear them talking in my head, I sensed them at my elbow, urging me on with their savvy, twinkling smiles. The author William Blacker reviewed my book and said, ‘Mike Ormsby has an ear for local vernacular and the surreal dialogue of the Gypsies’. That made my day. As for writing ‘like a writer’, there are many styles and I do not believe that one style is more ‘writerly’ than another. Some writers fill pages with lyrical descriptions and backstory, technical details and convoluted sentences. I choose not to. What I will do, on the other hand, is be very careful with exposition, tenses and senses, dialogue and perspective. I try to observe the world from the perspective of my characters (plural) and reader (singular). I like unpretentious writing, like Raymond Carver’s. Keep it short and simple: KISS, as we say in radio. When training radio producers, I tell them the most important person in any story is the listener. When writing a book, I tell myself that the most important person is the reader. Am I helping them? Do they have everything they need? Have I left enough space for multiple interpretations? Courtesy is all. I spend a lot of time trying to be courteous to my reader, so they see convincing characters, experience a new environment, hear authentic dialogue, and get it all first time. 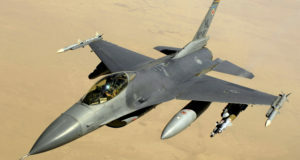 The American rapper Eminem said, you get one shot, don’t blow it. I try my best. My work might be easy to read, but that does not mean it was easy to write. Name a few things that cross your mind that Romanians are good at, and other things that would distinguish Romania’s countryside from the UK or other countries’ rural areas? Considering you lived there for some years, what makes Transylvania special? Now being so far away of it, what do you miss most about it? Romanians are great at hospitality. They have a caustic wit, a fatalistic sense of justice, a remarkable ability to improvise and an admirable ability to make fun of the bad times – haz de necaz. Those are some of the things that I will always love. Romania’s countryside compared to UK? Well, in the UK you do not see a dead dog every 500 meters, nor an expensive car wreck every 5 miles, nor men chasing an anxious pig down a country lane in December. FYI, British carnivores prefer to buy their sausages and complain about animal rights. Explain that, daca puteți. What do I miss about Transylvania? The wonderful seasons, the space, the people. In comparison, the UK feels small, crowded, and obsessed with last night’s TV. I’ve been working on two projects, both about social messaging. For the first project, I’ve been writing scripts for rural community theatre. The aim is behaviour change, which means encouraging particular target groups – such as young single men and women – to think and act differently as regards condoms, early pregnancies, test & treat for HIV, and so on. The second project is similar. I’ve been working with radio producers to create shows about those same issues and thus encourage listeners to take control of their situations and live in a healthier, safer way. You cannot use warnings or threats to convince them, you have to help them understand how a ‘change’ is actually in their long-term interest. Once they get that, they can make informed decisions about, say, condoms, test & treat, pregnancy, family planning, and so on. Overall, it’s interesting work and, according to audience feedback, it can make a difference. This is vital because Tanzania’s youth population is high and rising fast. For fun, I play and sing in a musical duo called The Coco Beach Boys, with an Italian restaurateur. 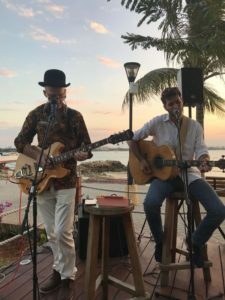 We have a weekly show on a terrace overlooking the Indian Ocean; it’s a nice spot and we have a small but loyal fanbase of ex-pats and locals. We play, they sip spritzers, and a huge orange sun sinks slowly below the horizon! Your book for children “Spinner the Winner” has been translated in several languages, Romanian included, reading it I had the impression of a satire of the nowadays Romania’s being exposed to my eyes, under the guise of an educational guide for children on how to react and cope with the problems of societies? Am I wrong? Am I right? If you could share your perspective, how have you come up with the idea of the story? Who inspired you, etc? You’re right to detect a social satire but wrong if you think it’s about Romania. First, I’ll provide a little context to help your readers. 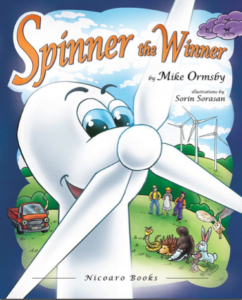 Spinner the Winner is a brave young wind turbine who triumphs over adversity, saves local villagers during a serious power cut and wins lots of new friends. The arc of the story, as they say in Hollywood, follows a classic heroic template: death, rebirth, triumph. Along the way we meet an incompetent mayor, some vandals, a bossy schoolteacher, a keen- but-dim policeman, unhappy villagers, and several wild animals who become Spinner’s friends-in-need (even Adam, the sarcastic snake). Happy ending? Ba da! I got the idea many years ago as a BBC reporter working on a story about a wind turbine whose arrival had divided a village – some folks liked it, others hated it. I had always admired turbines for their simple, elegant beauty and practical worth. However, I never lived near a squeaky one and those angry villagers made quite an impression on me. I had also been thinking, for several years, that I should try to write a book for kids. About what? I remember driving away from the village, looking in my rearview mirror and seeing four turbines turning their graceful arms as if waving goodbye at me, Hey, tell our story! It was an epiphany. So, I wrote a first draft in 1993, stuck it in a drawer and forgot about it. I was single then, and years later, my wife Angela read and liked it, helped to edit it and got it published. As for the satirical elements, yes, that’s my writing style but the book is not about Romania. It’s about the fictitious village of Biffletop (Vuvuieții din Deal). If my story resonates universally, I can hope for no better compliment, so thank you. The book has done very well. Several international utility companies – including ENEL, CFEZ Suez, and Continental Wind Serbia – have used branded translations in their educational activities, distributing the books to local schools and to employees. Romanians seem to enjoy the Romanian version, Morisca fara Frica, Angela’s young niece calls it Morisca fara Frisca. Coming soon, a German translation of Spinner. Five translators have helped, so far. It’s quite a challenge, setting the right tone. What plans lie ahead of you upon your returning to Transylvania in May? Some new editorial projects? Yes, but I’m not sure what. As ever, I’ve been keeping notes and I may write about Africa again, we’ll see. Also, I’m hoping to play some music in the Sibiu area and I am looking for kindred spirits, collaborators, someone with heart and soul. Most of all, I look forward to breathing cool air and walking in green fields with our three dogs. They don’t like the equatorial climate, here! For example, we brought our big fluffy ciobanesc mioritic Solomon; he’s popular with the locals (many want selfies), but he finds the hot season difficult. It’s relentless, six months, 35º in the day, 28º at night. That might sound like heaven but it is hell if for a fluffy dog. He spends most days indoors, in his ‘office’, asleep under the cool air of the AC. How do you see the trends in literature nowadays? Is literature affected by technology, by social media, is it pushed to become more interactive, live, more entertainment-like, closer to a variety show than art? I assume that we are all aware of the trend for action novels, romantic fiction, and crime fiction. I read very little fiction, although I did read some Jack Reacher novels, last year. The plots are formulaic and the main character is a bit ridiculous, but the author Lee Child brings something new and writes well overall. To my eye, most modern fiction reads like most modern fiction. I’ll pick up a book, skim a page, and put it down. I have zero tolerance for the usual tricks and tropes. As regards technology, it’s a good question. The critic James Bridle has written about the New Aesthetic in art, about how screens and lenses have altered our perceptions. I think it’s an interesting observation, although I would not say the New Aesthetic influenced me. Looking back, I reached Bridle’s conclusion, long ago, in my own way, in 2007, when I was writing Never Mind the Balkans. Modern readers see things very differently to readers in, say, Caragiale’s day, and so modern writers should try to reflect that. I try in my own way and if readers like my work, perhaps that’s one reason. If they don’t, then I accept all refunds. Have you got the chance to read some Romanian books, to get a glimpse of the local literary flavor at present? Unfortunately, my Romanian is not good enough to read local authors and a decent translation is hard to find. I read non-fiction, mostly. I just finished Red Notice, which provides the fascinating – and chilling – background to the Magnitsky Act (perhaps the real issue behind the Mueller investigation into Trump). Now I’m reading Elizabeth Warren’s biography, A Fighting Chance. I think her ideas will feed into the campaign of the US Democratic Party, even if she does not win the nomination. Angela just read a novel by a Senegalese woman and has urged me to read it. Now she’s reading a popular novel by a Korean woman and told me not to bother, but I’ll probably try. Two short novels I like: The Sailor Who Fell from Grace with the Sea (by Mishima, 1963) and L’Étranger (by Camus, 1942). Both are powerful and a bit disturbing. You are married to a Romanian-born woman, Angela described how is “to love an alien” in her book. What was the insight from your camp? How was for you to be married to “an alien”? I remember the first time I visited Angela’s ancestral village, miles from anywhere, in south east Romania. We were attending her grandfather’s funeral, it was a fascinating and mesmerizing day: the sense of community, the solemn rituals, the village kids running after the funeral cortege to gather treats from the ground, the frail corpse wrapped in spotless white sheets, the red wine emptied into the open grave. Apart from the inevitable sadness one feels on such an occasion, I felt incredibly lucky to be there, because it was such an unusual and moving experience. I feel that way often in Romania, – there is so much for me to learn, things that Romanians take for granted. I still feel lucky to have ‘found’ Romania. How well do you know Romanian language? How hard was for you to learn? What word in Romanian do you like most? What slang/swearing in Romanian did you learn first? In 1994, Romanian sounded like aural spaghetti. But these days I can get by, just about, in everyday conversation, especially if a Romanian speaks clearly and not too fast. If I’m with Romanians who speak little English, e.g. shepherds in a remote village, then my language skills improve. If I’m with Romanians who speak good English, my progress slows down. My grammar is not great. First, I need to be in Romania long enough to attend a regular and easily-accessible language class. Second, I need periods of ‘total immersion’ where I speak only Romanian. I speak French reasonably well and there are similarities but I’ll meet a French person and mix the two, like this: Bonjour, am vazut votre ami qui mi-a spus ca… And they’ll blink and think, WTF? Or, as we say under the Eiffel Tower, What The Français. Mike, Angela, Solomon. Selfie please! Two of our Romanian dogs understand Swahili. I’m serious. 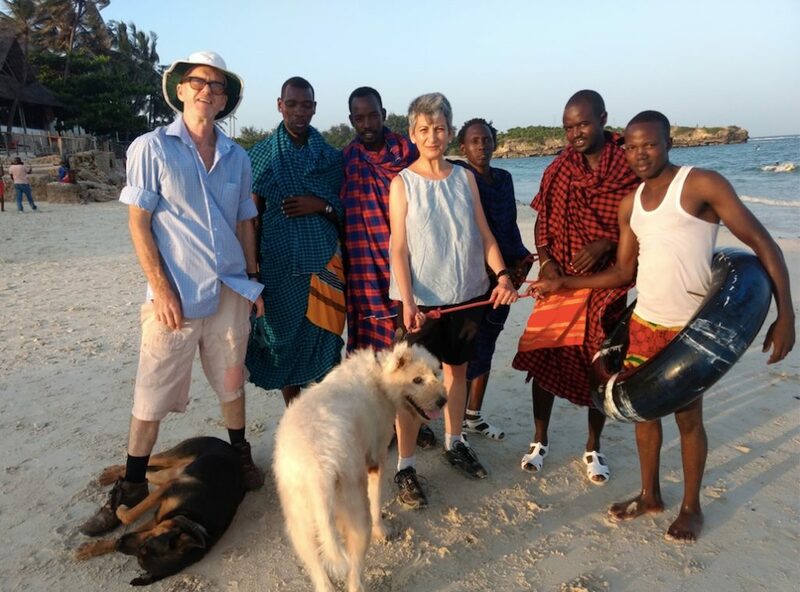 If we say paka (cat) or mbwa (dog), their reactions are instantaneous: their ears prick up, their bodies tense, and they glance quickly about the place, as if wondering: Unde? The Romanian first phrase I learned was, Hai sa ne-mbatam, i.e. Let’s get drunk. The second phrase was, Luați morții, i.e. Take away the dead (bottles). For those gems, I am indebted to ten young Romanian journalists who enrolled at BBC School in October 1994. I don’t use Romanian swear words. Some Romanians might think that using our f-word makes them sound streetwise, even sophisticated. It doesn’t. My favourite word in Romanian is bufniță. Soft and breezy, but sharp too, just like an owl. There is a little bit noisy on the Romanian political, social and economic scene these days. Have you stayed in touch with the local current affairs and news since you left? What is your opinion about the current situation in the country and what is the forecast in your opinion? However, things are pretty stirred up all over Europe and in UK in particular with Brexit and all. Where we, Europeans, are heading to? I monitor Romania’s political, social and economic scene, every day. As I mentioned above, a battle is underway for the soul of Romania. Time will tell who wins it. We Europeans? Hah! When Brexit happens, I won’t be a European. That vote broke my heart, I was stunned and miserable, walking around like a zombie. I applied for Irish citizenship a few days later, because all my great-grandparents were born in Ireland. Sad to say, I do not qualify due to bureaucratic protocols. Maybe I’ll apply for a Romanian passport, although I hear getting a job at the CIA is perhaps easier. Where are Europeans heading? To a not-very-nice place, I fear, given the rise of nationalism, fake patriotism, xenophobia, and all the rest. We can only hope that wisdom will prevail but I fear things will get worse. I said Trump would win in 2016 and I think he could win again in 2020. I hope I’m wrong this time, because he’s a cultural disaster and his words and deeds influence millions of hearts and minds in a profoundly negative and dangerous way, all over the world. I read Kershaw’s biography of Hitler recently. It was written before the Trump era, but the tale has a familiar ring: an undisciplined, embittered, charismatic, big-mouthed outsider tells a divided people how to feel and why. An idea is born: make Germany great again. He doesn’t really know how to do that, but knows who to blame for the ‘crisis’. The idea spreads like fire and soon he’s looking at plans on paper. Scary. In practical terms, I’d say the international intelligence services must share resources, as an urgent priority, and try to stop the rise of white supremacist ideology. They must see right-wing terrorists as a growing, connected, worldwide threat, not just as a few ‘lone wolves’. Because if terrorists are lone wolves, our ethnic minorities are sheep. That’s not a helpful way of seeing the world; it’s reductive. If our governments spent half as much time and money monitoring white supremacists as we do on monitoring ‘global jihadists’, we might prevent these horrific massacres. Problem is, El Trumpet doesn’t care. He just tweets ‘warmest sympathy’ to New Zealand then rants about McCain. Warmest sympathy? That’s not even English. It’s like sending ‘coolest regards’ for someone’s birthday. He’s thick. Can you imagine his response if a Muslim shot 50 Americans in a church? Or if a Mexican did it? The rest of us must care and we must show that we care. So far, Romania has been spared xenophobic violence but, for how much longer, I wonder? I’m pretty sure that even though Romania seems relatively peaceful now, the trolls in their silos are as busy as bees, trying to find ways to exploit any sign of anti-European sentiment and to support any Romanian politician willing to help them. I saw a placard recently that said, Kovesi is our only hope. Lucky us? Poor Laura! P.S. Mike Ormsby’s recent CD of original songs – Silverfish – was recorded in Transylvania with Walter Dionisie and is available here.